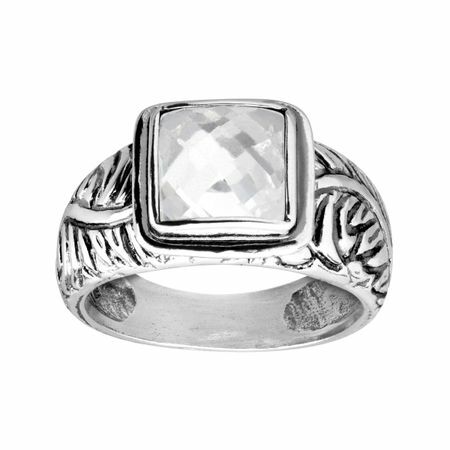 Daydream about far-off Amazonian rain forests with this inspiring ring. Etched sterling silver leaves showcase a white cubic zirconia, perfect for adding just the right amount of shine. Ring face measures 3/8 inches in width.